Ethereum is becoming more and more popular as the days go by. This blockchain platform that permits smart contracts has seen a huge spike in prices this year, 2017. A lot of investors are already putting their money on this cryptocurrency and since you are reading this post, our guess is that you already know what Ethereum is, you are planning to invest, or have invested, and now, you are looking for the best wallet to store your ETH. Before we tell you about the best wallets to save your Ether in, we'd like you to know that Ethereum is a lot more technical than Bitcoin (BTC). As a result of this, most wallets out there are not really user friendly for newbies. In this post, we'll tell you about the best wallets, right from the simplest ones to the complex ones. You'll then be left with the choice of selecting the one that suits you best, depending on how knowledgeable you are about the industry. Without further ado, let's get down to it. These type of wallets are simply the best when it comes to the security of altcoins like Ethereum. An Ethereum hardware wallet will provide you with utmost security, convenience, and flexibility. However, these wallets come at a cost ranging from $50 to $100 without shipping costs. There are currently three major companies in the hardware wallet market that are trustworthy. These three are Ledger, TREZOR, and KeepKey. You can purchase one of these wallets, store your Ether on it and be rest assured that no one will have access to your Ether except you. · Your private key being with the company. Unlike the cases of hardware wallets where you'll be the one in possession of your private key and your public key, your private key will be available to Coinbase. This simply means that you are not in total control of your funds as Coinbase can decide to shut off your account should they see the need to. There have been reported cases where the company had to shut down users who were using their wallets for fraudulent activities. · Unlike hardware wallets that supports most cryptocurrencies, including BTC and Ethereum Classic, Coinbase wallet does not support Ethereum Classic (ETC). All you have to do to get a Coinbase Ethereum wallet is open an account with them. Once you've successfully done this, you'll be provided with three wallets including BTC, ETH, and LTC. You can then send the cryptocurrency of your choice to its relevant wallet. This wallet is a nicely designed, intuitive desktop wallet. It supports Bitcoin and various altcoins, including ETH. The only thing about Exodus is that it's not fully open sourced. This simply means that the codes cannot be fully reviewed by the community. If you are not a technical person, this poses no problem as you don't have any business reviewing codes. You also need to note that this wallet is designed for desktop, that is, your PC; there's currently no mobile version for it. Also, Exodus does not support Ethereum Classic (ETC) just like Coinbase. However, they do place your private key in your possession as it’s stored on your device rather than on an external server. Once you have successfully opened an Exodus account, click on Wallet, select the cryptocurrency wallet you'd love to use (Exodus supports a lot of currencies), click on receive and your wallet address will be displayed on your machine. This wallet is a web based wallet. Although it's a web based wallet, it's different from other web wallets, such as Coinbase. The difference is that MyEtherWallet provides you with your private key. The key is saved on your computer. This provides you with the advantage of creating new wallets and storing your cryptocurrency without having to go through MyEtherWallet's server. It also means that the safety and backing up of your wallet is up to you. As long as your computer isn't hacked, your wallet and Ethereum will be safe. MyEtherWallet can be linked with your Ledger Nano S and Trezor hardware wallets. Once linked, you'll be able to access your ETH on the wallet's website. And given the fact that MyEtherWallet is an open source wallet, users are allowed to access and write smart contracts. Jaxx is a very intuitive and simple Ethereum wallet. With a simple design and a user friendly UI, this Ethereum wallet can easily be figured out by any user category, including newbies. With Jaxx, you have the entirety of your funds and wallet in your hands. Your keys are created and stored on your device; you do not need any server to access them from. This simply means that the company has no way of getting access to your funds. In fact, Jaxx is all about privacy as the company does not collect any personal information, neither do they ask for any kind of verification. The software is available across all platforms, including iOS, Windows, Android, Chrome extension, and Linux. 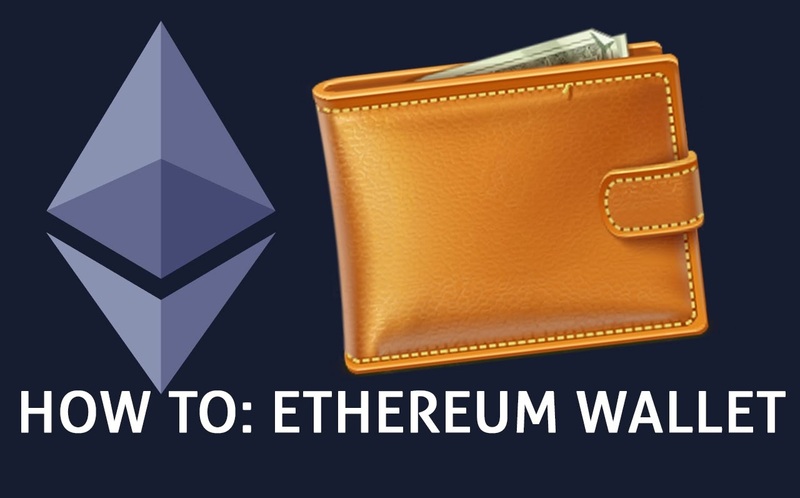 Being able to find a secure and relevant wallet to store your Ethereum is of major concern to a lot of people. That is why we have put this list together; to ensure that you not only get to secure your investment, but that you do so with a trustworthy company, thereby giving yourself peace of mind.